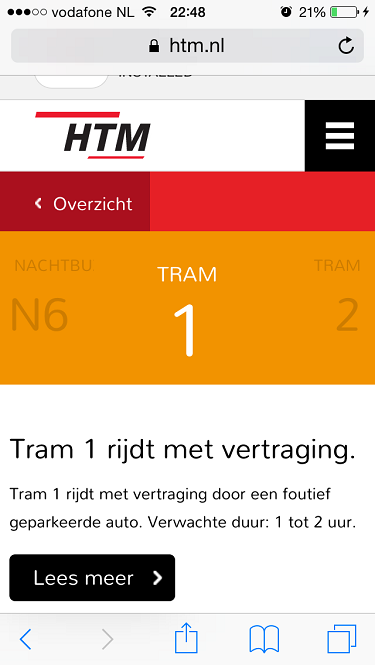 A few days ago I was idly checking htm.nl, the bus/tram operator in The Hague, when I noticed that tram 1 had a rather lengthy delay. The reason? Wow. I only wish I had a photo of that one. Granted, some places don’t have much room to park here in The Hague – but you can always drive a bit further and find another place. I just keep envisioning a drunk person parking directly over the tracks (though it is more likely that it was just an inch or two too close).